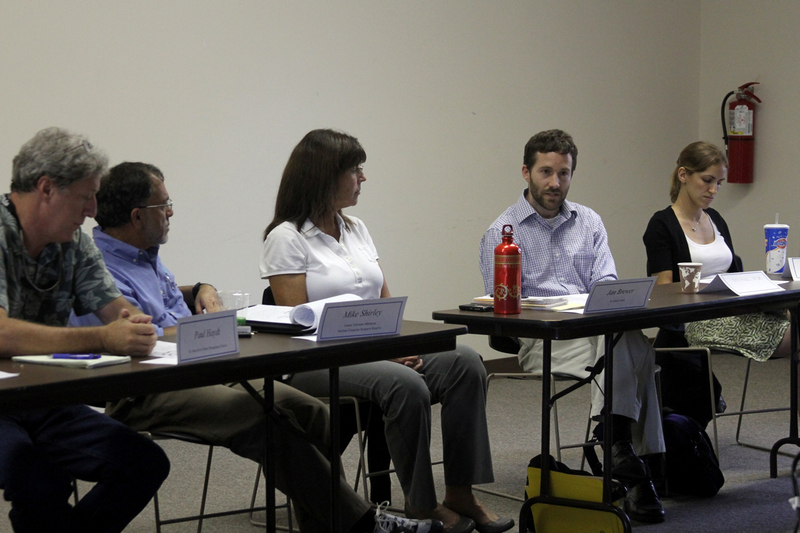 The project’s Matanzas Basin Steering Committee held their third meeting on August 13 near St. Augustine. The UF project team presented modeling results (maps) of potential sea level rise impacts on habitats and storm surge in the Matanzas Basin, and how these results may be used to design habitat migration corridors in the second year of the project (2013). The modeling results gave Steering Committee members a better understanding of the science of sea level rise and what it means for the basin and neighboring cities and communities. The results will also be presented at the upcoming public workshops in the Fall. 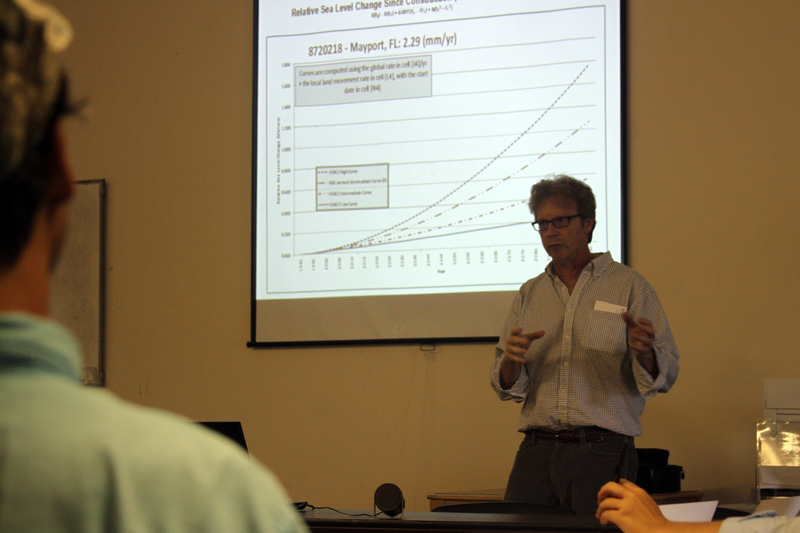 The Steering Committee provided feedback to the project team about designing and scheduling these workshops. Individual members also video taped short messages about what makes the Matanzas Basis special and why it is important to plan for future sea level rise and other coastal changes. These videos will be shown at the public workshops. The project team greatly appreciates the guidance provided by the Steering Committee and their generous time commitment.